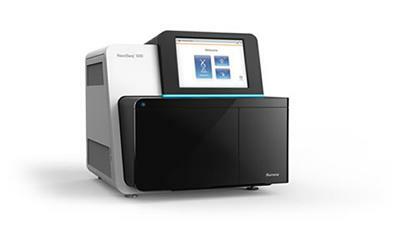 DNA sequencing machine. Image courtesy of Illumina, Inc. Patients in and around Southampton are set to benefit from a new era of personalised medicine following successful grant applications to develop genetic and genomic medicine, totalling over £1 million. The funding has been shared across a number of research teams from the University of Southampton and University Hospitals Southampton NHS Foundation Trust (UHS). UHS in partnership with Salisbury Hospitals NHS Foundation Trust, is now poised to play a key role in a national project to tackle cancer and rare diseases by sequencing 100,000 genomes. The project is supported by Wessex Academic Health Science Network (AHSN), which has provided management consultancy to guide the re-design of regional genetics and genomics services, and has contributed £80,000 to develop the skills base for next generation sequencing in Southampton. Bolstering this, Professors Anthony Williams and Karen Temple at the Wessex Genomic Medicine Centre have received £196,000 from Southampton Hospital Charity to purchase a high-throughput DNA sequencing machine, and an associated laboratory robot. This will automate handling of samples, increase capacity for genomic testing, and therefore help more patients. Professor Jon Strefford, alongside Professor Williams, has also won a £270,000 grant for the Wessex Investigational Hub Laboratory (The WISH Lab), a joint venture between UHS and the University, to strengthen translational medicine. They will purchase equipment to allow rapid and cost-effective sequencing of DNA from samples as small as an individual cell. This will greatly reduce the amount of tissue needed, and greatly increase the sensitivity of each analysis. The largest grant was of £500,000 from the Medical Research Council to the University of Southampton. Researchers in medicine, technology and computing, with shared ambitions to advance personalised medicine, will combine nanotechnology to develop single-cell analysers at a fraction of current costs, genomics to read the operating manuals of single cells, and computation to model complex biological systems. The ambition is personalised medicine at the bedside, supporting doctors making clinical decisions and giving patients the best possible treatment. “This will bring a step-change into the capacity for precision medicine,” said Professor Deborah Mackay, of the University of Southampton, who will lead the project. Professor Anthony Williams continued: “Put together, these grants pave the way for a significant step towards making personalised medicine the norm across Wessex, and we’re expecting cancer patients, and those with rare diseases, to benefit first.